Leading the team, Frank Banuelos of All Points Construction is a general engineering contractor with over 28 years of experience. His hard work and dedication to make every project no matter how big or small better than the last. His never faltering belief in workmanship and integrity has helped him build at the highest quality with detailed services for clients throughout the entire Bay Area and Monterey County. Through outstanding project management and staying in constant contact with his customers throughout the entire project ensures every client that their visions and goals are met. All Points Construction is a provider of the highest level of professional construction services from custom concrete to beautiful wood arbors from the largest of projects to the smallest of details. Our services range from landscape, concrete, masonry, grading, excavation and general contracting services. Our concrete work includes stamped, exposed, colored, structural and flatwork. Our masonry work includes block, brick, flagstone, pizza ovens, BBQ surrounds, fireplace surrounds and slate and concrete pavers. Our grading work includes driveways, walkways, soil relocation and specialized hill side work. Our excavation work includes, foundations, engineered retaining walls, hill side pools and site work. Our general contract services include interior and exterior. A complete design-build firm, Tri Star Builders is a general contractor specializing in residential and commercial remodels and new construction. We also offer architectural design and project supervision. For over 25 years, Premiere Builders has built custom luxury homes and remodels with a reputation for honesty, reliability and a commitment to serving our clients. Our goal is to make the building process as smooth and stress-free as possible for our clients. We offer our clients the highest level of customer service. Our in-house design-build team and exceptional architect partners offer creative and cost effective solutions for even the most complex design challenges. Our unique designs and exquisite craftsmanship ensure that our client’s vision for their project is seamlessly translated into beautiful functional living spaces for decades to come. All of our work is supervised by a principal member of our firm, and we take great pride in our hands on approach. Our crews and management team are on site daily. We conduct weekly site meetings with our clients, contract with the finest Bay Area subcontractors, and tightly schedule our projects, assuring on time and on budget delivery of projects that exceed our clients’ expectations. Re-Model Design & Build Co.
W and W Builders Group Inc.
Woodcliff Builders, Inc. is reliable, honest, committed, trustworthy construction company supporting our local community with top of the line craftsmanship. We are here to build your dream home or business space, taking your vision and ideas and making them into a reality. From our initial meeting to the day the project is complete you will have our support, guidance, and knowledge of the trades to help guide you through a smooth and positive construction journey. 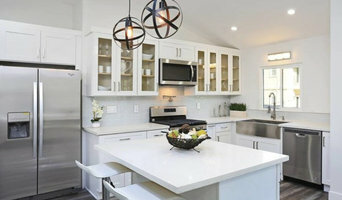 Craftsmen’s Guild is a full service construction firm that designs and builds custom homes, along with remodeling kitchens, baths, and home additions. Craftsmen’s Guild was founded with the goal of improving the process of constructing a home, making it a simpler and more pleasurable experience. We have been building dream homes and performing top-quality remodels in the Bay Area of California for over thirty years. We specialize in the remodeling of kitchens, baths, and home additions, as well as the construction of new, custom homes. Our goal is to design and build your dream home exactly the way you want it and within your budget. We pride ourselves on our excellent customer service and accountability. Unlike many of our competitors, we never want our clients to feel like their projects are out of reach or that they experience difficulty in communicating with us. We take into account the opinions and the needs of our customers and proceed based on what you want to do and how you want to do it. We listen to the ideas of our customers, take notes about your goals and needs, and make sure our products and services match the vision of our clients from start to finish. 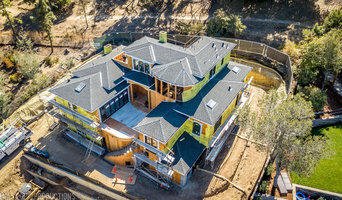 Our unique and quality designs and superb construction have helped us build a reputation in California as a go-to company for our customers’ construction needs. We have completed hundreds of projects in our long history and through our many years of experience, we have established a thorough understanding of the many rules and regulations of each city in the Bay Area. This knowledge can help move your permitting process along at a faster pace, eliminating another stressor that comes with building or improving upon a home. Additionally, we have been members of the Better Business Bureau since 1991 and are Diamond Certified. Black Bear Builders started in 2012. We are a general contractor company that offers building, rebuilding, improvement of your home or project with exceptional costumer service. We help you find the right options for your projects. General, or construction contractors, are often known as project managers. They oversee the entire remodeling or new home construction project and facilitate all day-to-day tasks that move it toward completion. A Gilroy general building contractor will work with your architect to review plan as you build a house and ensure everything is in place before work is started as well as arrange for permits and necessary inspections. While good local home improvement contractors in Gilroy will have the skills to handle certain tasks onsite, such as carpentry, he or she is also responsible for hiring subcontractors for the majority of jobs, such as electrical work, painting or plumbing. In addition, the general contractor should be on-site regularly to inspect the progress and resolve issues. Here are some related professionals and vendors to complement the work of general contractors: Architects & Building Designers, Interior Designers & Decorators, Landscape Architects & Landscape Designers, Kitchen & Bath Designers, Specialty Contractors. Home remodeling contractors are a must for successful completion of a renovation. Because of this, it's essential that you do your homework before deciding on the right general contractor in Gilroy as you remodel or build a house. Inspect bids carefully. Was it ready when the contractor promised it? Was the bid for building a home unusually high or low? Each of these things can be very telling: A late bid may reflect timing standards, and an off-the-mark bid could be code for a pricey premium or a deliberate underbid to score the remodeling job. You should call references, carefully read reviews and visit completed projects in Gilroy, CA to see if they’re what you expect for your job. Once you do secure your local Gilroy contractors, read the contract very carefully to be sure everyone is on the same page. 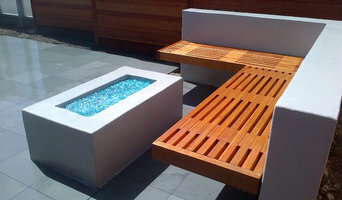 Find a Gilroy contractor on Houzz. Narrow your search in the Professionals section of the website to Gilroy, CA home contractors. You can also search for photos in Gilroy, CA and contact the Gilroy general contractor who worked on the project.